Try a query on the tin-whistle! tunepal.org works best with the sound of the tin-whistle or flute. 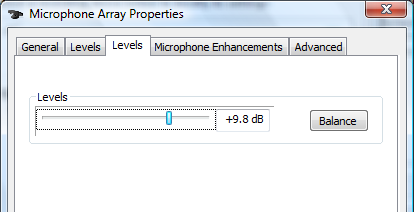 On some computers there is an option to add Gain or a boost to the microphone. This is usually a check box. If this works successfully, when you click Play beside the Record button after recording some audio, the volume should be much louder. The latest version of my program should reload if you restart your browser. 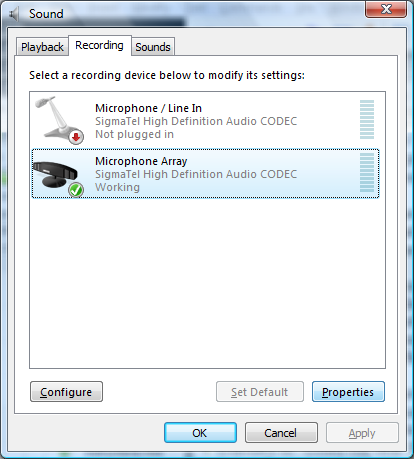 It has a slider to adjust the Silence Threshold: Try recording silence. If the status message says "Done" and a wavy line appears in the blue box, then that means the silence threshold is set too low. Move the slider a little to the right and try again. Keep doing this until the message changes to "Could not hear the melody. Try adjusting the silence threshold". That means the program should now be able to successfully distinguish between silence and your playing.